Oral Cavity or the Mandibular and Maxillary Jaws are affected by a lot of Acute and Chronic Infections which can occur due to various reasons and can be found in various locations in the Jaws. These infections are easy to treat in some cases and in some are difficult which is based on multiple factors along with differences in recurrence rates based on the etiology of the Infection is seen. The infections are divided into two types based on the duration of infections, with Acute being short duration and Chronic meaning longer duration. Acute Intections: These are rapidly progressing infections or inflammations of any tissue which can be seen immediately as a response to any injury or infection etc. Chronic Infections: These are slow progressing infections which are present from a prolonged duration of time before they get discovered or before they become symptomatic. It is defined as a localized inflammation and Suppurative condition seen around the root apex of the tooth affected which occurs soon after the death or injury to Dental Pulp. It may occur due to injury to pulp, trauma of tooth, mechanical or chemical irritation may also lead to Acute Alveolar abscess. When the infection mostly caused by Streptococcus Viridans affects the peri apical tissue or alveolar bone inflammation and bone loss is seen with a pus filled cavity surrounding the root apex called as Alveolar Abscess. Its treatment is immediate drainage of Pus and Root Canal Therapy following it. Cellulitis which is also called as Phlegmon is defined as a non-suppurative inflammation of hte subcutaneous tissue extending along the connective tissue planes and across the intercellular spaces. Cellulitis is seen when the infection spreads through the Bone and crosses into the connective tissue. It is a complication of acute dental infection and should be dealt with immediately with antibiotic therapy. Edema is seen along with induration which results in tissues becoming firm and hard on palpation. If Cellulitis is left without proper treatment it leads to Suppuration. Depending on location of infection it may spread to the Maxillary Sinus and sometimes to the Eye. Treatment includes Surgical Incision and Drainage along with antibiotic therapy and later depending on the response to the treatment the offending tooth is mostly extracted and sometimes endodontically treated after evaluation by the Dentist. It is also called as Pericoronal Abscess which infects the soft tissue surrounding the Crown part of a partially erupted tooth, which are most commonly the third molars of Maxilla or Mandible. The infalammation can be due to either soft tissue coming between opposing teeth or because of food inpaction in the Operculum leading to inflammation and infection. 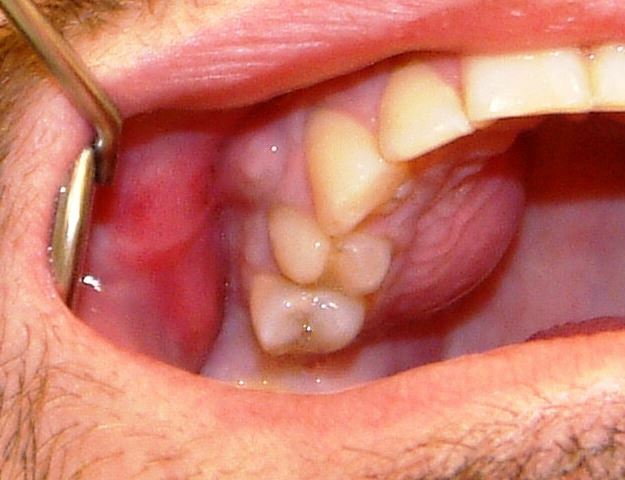 This is a very painful and Acute condition which will lead to trismus to the patient and depending on the severity of the condition antibiotics are prescribed along with Salt water gargle and Operculectomy in cases where the teeth will erupt into proper occlusion, in cases of impacted tooth the offending tooth should be extracted. In case of Abscess formation careful incision and Drainage should be performed. This type of infection develops due to prolonged infection and it diagnosed only when it turns symptomatic or leads to any physical change in appearance due to swelling or color change. It is a localized infection in the oral cavity which can occur in Maxillary or Mandibular Jaw. It is a tumor which is made up of Granulation tissue which is formed from a Abscess in which the pus or purulent material was replaced by Granulation tissue due to osteolysis of the localized area. They are of many types Periapical granuloma, Pyogenic granuloma, peripheral giant cell granuloma, Traumatic Granuloma etc. It is defined as a long standing, low grade infection of the periradicular tissues. It results from direct extension of acute pulpitis or acute non suppurative periodontitis or acute exacerbation of periapical granuloma, cyst or Chronic abscess. In a Chronic Alveolar Abscess we can see Sinus formation forming a path for the purulent material to escape from the abscess. It is treated depending on the amount of Tooth structure and the mobility of the tooth keeping in mind. Endodontic treatment can be performed and if the tooth is not restorable extraction is the final treatment. It is defined as inflammation of the bone marrow and production of Pus and also affecting the Calcified Structures of the Jaw. The Bone contains three components like Perioosteum, cortex and marrow and all of these are affected. It is an inflammatory condition of the bone which begins with an infection of the medullary cavity and the haversian system extending to the periosteum of the affected area. There are many types of Osteomyelitis which are differentiated based on their Etiology and the type of infection and also the location. And treatment will be done accordingly based on etiology, location and extension of the lesion and involvement of the surrounding structures. It is a pathological process which results in patients who have undergone heavy Radiation of Bone which result due to the changes in Jaw due to impaired vascularity and decrease in function of Salivary glands playing a major role in features of Osteoradionecrosis. 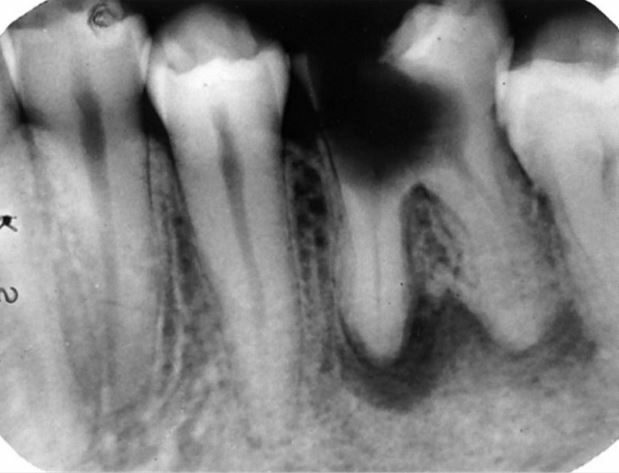 Chronic painful infections, pulp necrosis, Caries, necrosis of Gingiva, sensitivity are some of the commonly seen features in Osteoradionecrosis. Prevention of Osteoradionecrosis is easier than treating it, precautions should be taken before going for Radiation therapy like shielding of teeth and tissues of the oral cavity during radiation and extraction of teeth which are weak and affected before start of radiation treatment. Hyperbaric Oxygen therapy has been found to be useful in some cases. These are some of the Acute and Chronic infections of the Oral Cavity Affecting the Maxillary and Mandibular Jaws, there are many more Cysts and Tumors which affect the Oral cavity like the Dentigerous Cyst, Ameloblastoma, Radicular Cyst, Cementoma, etc. how can we avoid sensitivity of teeth? what could happen if it go untreated?